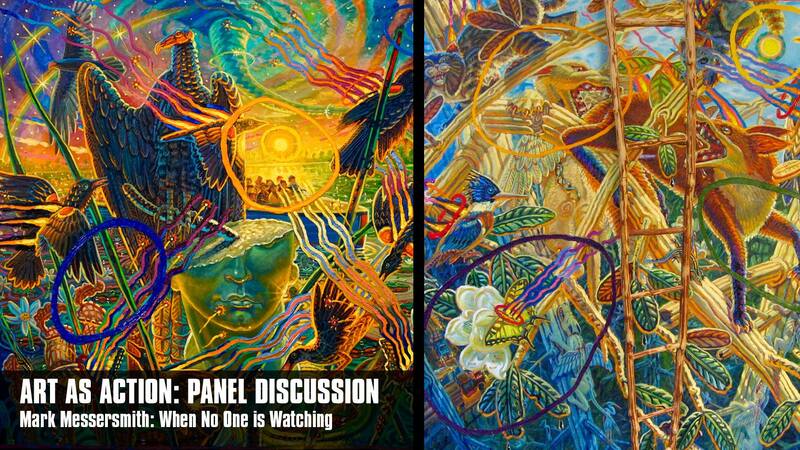 A panel discussion considering the impact of art in facilitating thought, discussion, and action regarding social issues, and the specific impact of Mark Messersmith’s art to create awareness of challenges facing Florida’s environment and native cultures. Panel will be moderated by Gadsden Arts Curator Angie Barry and include exhibiting artist Mark Messersmith, Viki Wylder of the FSU Museum of Fine Arts, and Lindsay Stevens, a Land Protection Program Manager from The Nature Conservancy. The Gadsden Arts Center & Museum has a $5 suggested admission. There is no additional fee to attend this panel discussion.